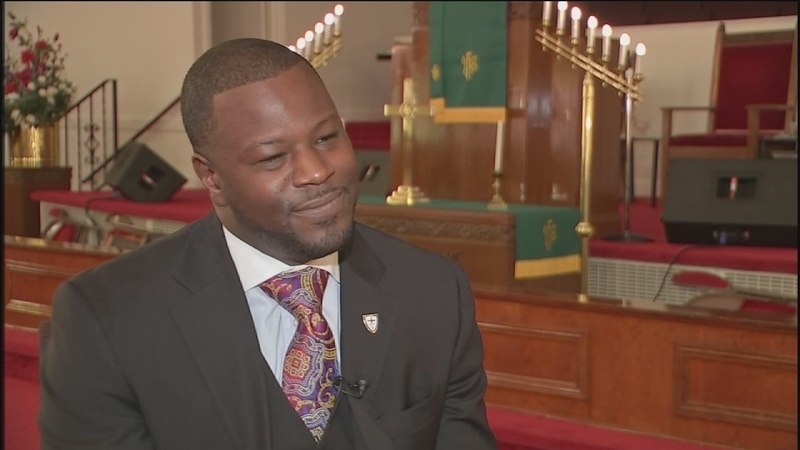 CHARLESTON, SC -- It was an act of "pure, pure concentrated evil," Charleston's mayor said - a black community's leading lights extinguished in a spray of bullets, allegedly at the hands of a young white man who was welcomed into their Bible study session. And so the nine victims at The Emanuel African Methodist Episcopal Church joined the ever-lengthening list of America's racial casualties. In one blow, the gunman ripped out part of South Carolina's civic heart: a state senator who doubled as the church's minister, three other pastors, a regional library manager, a high school coach and speech therapist, a government administrator, a college enrollment counselor and a recent college graduate. Six women and three men who felt called to open their church to all. Dylann Storm Roof, 21, had complained that "blacks were taking over the world" and that "someone needed to do something about it for the white race," according to a friend who alerted the FBI. He was arrested with his gun after an all-night manhunt, authorities said. President Barack Obama called the tragedy yet another example of damage wreaked on America by guns. NAACP President and CEO Cornell William Brooks said "there is no greater coward than a criminal who enters a house of God and slaughters innocent people." Others bemoaned the loss to a church that has served as a bastion of black power for 200 years, despite efforts by white supremacists to wipe it out. Surveillance video showed the gunman entering the church Wednesday night, and Charleston County Coroner Rae Wilson said the gunman initially didn't appear threatening. Roof's childhood friend, Joey Meek, called the FBI after recognizing him in the surveillance footage, down to the stained sweatshirt he wore while playing Xbox videogames in Meek's home the morning of the attack. Meek said Roof recently used his birthday money to buy a Glock pistol. 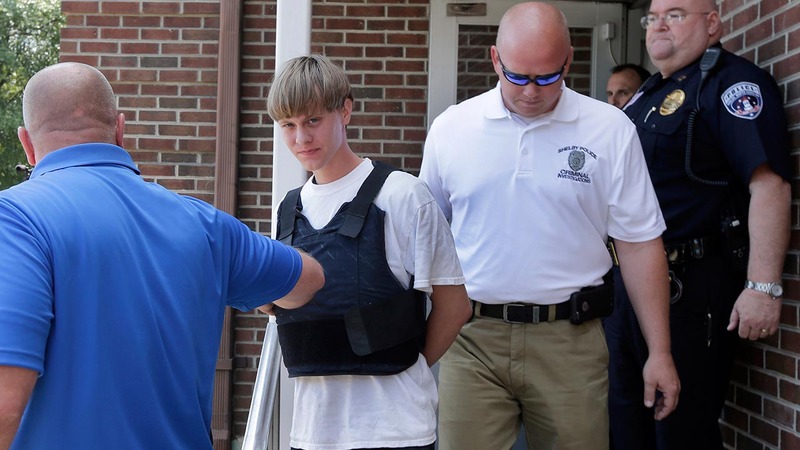 Roof was arrested without incident Thursday in Shelby, North Carolina, after a motorist spotted him and tipped police, and waived extradition back to South Carolina, where he was held pending a bond hearing, Charleston Police said. His previous record includes misdemeanor drug and trespassing charges. He wasn't known to the Southern Poverty Law Center in Montgomery, Alabama, and it's not clear whether Roof had any connection to the 16 white supremacist organizations operating in South Carolina, but he appears to be a "disaffected white supremacist," based on his Facebook page, said the center's president, Richard Cohen. Meek said he and Roof had been best friends in middle school, where "he was just a quiet kid who flew under the radar." Roof then disappeared and showed up again several weeks ago, seeming even more quiet and withdrawn. But on his Facebook page, Roof displayed the flags of defeated white-ruled regimes, posing with a Confederate flags plate on his car and wearing a jacket with stitched-on flag patches from apartheid-era South Africa and Rhodesia, which is now black-led Zimbabwe. And when Meek asked what was troubling Roof, "he started talking about race," the friend said. 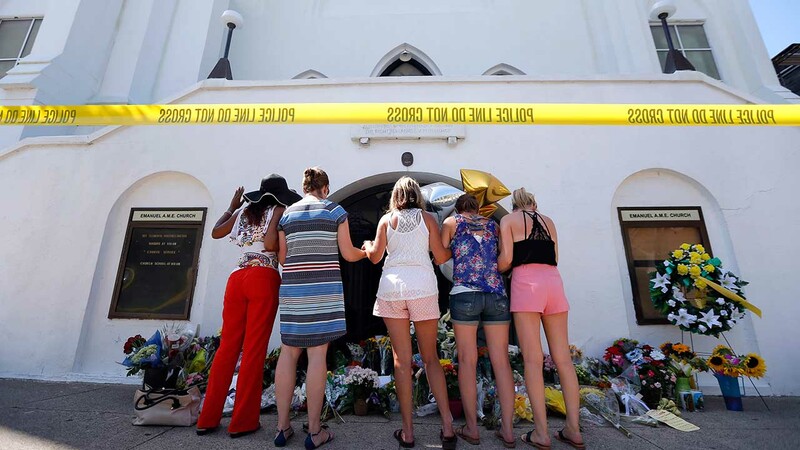 Spilling blood inside "Mother Emanuel," founded in 1816, evoked painful memories nationwide, a reminder that black churches so often have been the targets of racist violence. A church founder, Denmark Vesey, was hanged after trying to organize a slave revolt in 1822, and white landowners burned the church in revenge, leaving parishioners to worship underground until after the Civil War. The congregation rebuilt the church and grew stronger. Martin Luther King Jr., brought the 1960s campaign for voting rights to its pulpit. "He had a core not many of us have," said Sen. Vincent Sheheen, who sat beside him in the Senate. "I think of the irony that the most gentle of the 46 of us - the best of the 46 of us in this chamber - is the one who lost his life." Meek said his friend had become an avowed racist. "He said he wanted segregation between whites and blacks. I said, 'that's not the way it should be.' But he kept talking about it," Meek said. Obama, who personally knew the slain pastor, was one of the few politicians to call for stricter gun control. "I've had to make statements like this too many times," the president said. "At some point, we as a country will have to reckon with the fact that this type of mass violence does not happen in other advanced countries." This shooting "should be a warning to us all that we do have a problem in our society," said state Rep. Wendell Gilliard, a Democrat whose district includes the church. "There's a race problem in our country. There's a gun problem in our country. We need to act on them quickly." Flowers tied to a police barricade outside the church formed a growing memorial, two months after another memorial appeared at the scene in neighboring North Charleston where Walter Scott was shot in the back by a white police officer. That shooting of an unarmed black man prompted South Carolina to pass a law to equip police with body cameras statewide. Pinckney co-sponsored it.